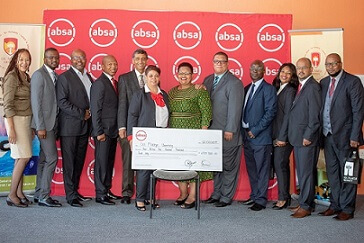 At an event held today, Sol Plaatje University (SPU) acknowledged the R4.5million investment from Absa Bank which will support the University’s and the Northern Cape Province’s endeavor to develop the field of Data Science. The Premier of the Northern Cape Province, Ms Sylvia Lucas said that she is increasingly excited about the future of SPU. She expressed her gratitude for the commitment of partners like ABSA in realizing the ideals of SPU. She said that whoever is going to invest in education will be helping to create a new economic landscape that is moving away from a purely profit driven model of social development. She also said that the youth are a precious resource thus the development of young people is a key priority for this administration. She stated that the skills base of young people is being increased through institutions like SPU and that we are achieving a better life for all in our lifetime at SPU. The Premier stated that detractors of SPU should make the effort to visit the University before they make uninformed pronouncements. She wished SPU well in achieving its ambitions. In his remarks the Vice-Chancellor & Principal of SPU, Professor Yunus Ballim said that this is a significant investment for SPU and for the Northern Cape Province. SPU chose Data Science as a niche area because it saw merit in developing local intellectual capacity to give meaning to unstructured data. Data analytics is set to become the cornerstone of future economies. SPU is now able to effectively advance its Data Science programme through the creation of a Chair in Data Science, 10 bursaries annually (over three years) for Bachelor of Science students in Mathematical and Data Science; research support for SPU academics; and assistance with the upkeep of research operations at SPU. 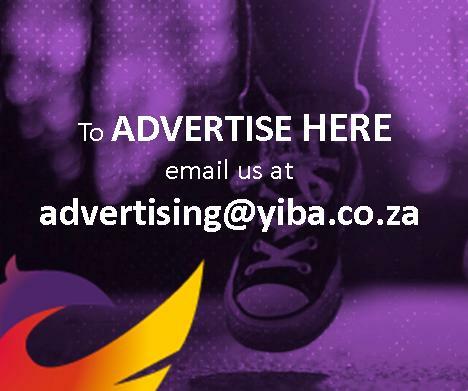 Through its financial support ABSA is showing confidence in this emerging university. He concluded by saying that ABSA’s fingerprint will be recognizable in the Data Science arena for many years to come. Mr Rodda Ontong from ABSA said that it was an honour to partner with SPU on this momentous initiative for the Northern Cape Province and thanked SPU for its foresight and initiative. ABSA has made this investment as part of their Shared Growth Strategy in relation to Education and Skills Development. In his closing remarks Prof Aifheli Gelebe, Head of the School of Natural and Applied Sciences thanked ABSA for its generous investment and thanked the Premier for her ongoing support of SPU. He also thanked the Vice-Chancellor for his visionary leadership of SPU especially in relation to the advancement of the Data Science programme. He informed the audience that two cohorts of Data Science students had graduated over the last two years. Of the 28 graduates, 48% were female, 9 have returned to SPU to pursue postgraduate studies in Data Science and of the remaining 19 graduates all were now employed.